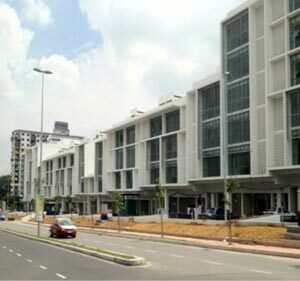 This row of 21 shop-offices is situated on Jalan SS3/39, close to the up-coming Icon City and the famous Motorola cable stay bridge along the Lebuhraya Damansara Puchong (LDP). It comprises 6-storey and 4-storey units with private lifts. These shop-offices boast a modern façade, 24 hour security and ample underground parking. A cost effective solution for small or large companies alike.